← Happy Thoughts – Share the Misery – NOT! 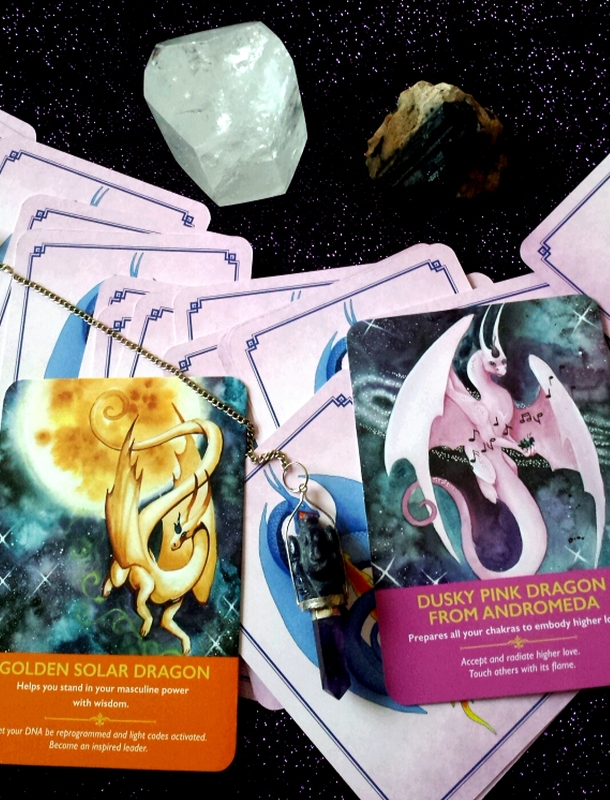 Today we’ve got a lovely and lively card reading with our dragon guides, and my Iolite Amethyst pendulum. These are the two cards that I was guided to select for us. It’s all about Love & personal power. You are strong, and you are blessed! Visit us on twitter, @OracleCards4U . This entry was posted in Abundance, Inspirational, Motivational, Oracle/Colour/Angel card readings, Spiritual and tagged crystal power, dragon oracle, dragons, happy thoughts, lifestyle blog, oracle card readers on wordpress, oracle card reading, pendulum readings, positive affirmations, self confidence, self love, spirituality. Bookmark the permalink.